Latest hardware sales figures show that the new 40GB SKU and ceramic white model have proven popular in Sony’s homeland while 360 sales plummet. 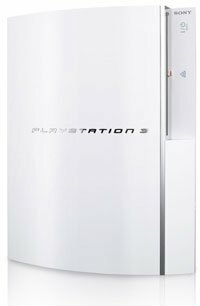 The new model PlayStation 3 landed in Japan on November 11, coming with fewer USB ports, a 40GB hard drive, no backward compatibility, a cheaper price tag of 39,980 yen (approx $341), and a new colour–ceramic white. The move seems to have paid off for Sony as hardware sales figures from Media Create for the week of November 5-11 show the PS3 outselling the Wii for the first time, with sales of Sony’s console having tripled week on week. The PS3 sold 55,924 units last week, compared to the Wii’s 34,546. The handhelds remained on top of the charts, with the DS Lite selling 78,854 and the PlayStation Portable 58,964 respectively. Bringing up the rear were the PlayStation 2, with 9,043 units, and the Xbox 360 with 5,817 units. Last week’s figures showed the Xbox 360 experiencing a surge in sales due to the release of Ace Combat 6: Fires of Liberation, which helped move 17,673 systems. The DS Lite reigned with 78,552, followed by the PSP with 59,714, and the Wii with 37,617. The PS3 sold 17,434, and the PS2 10,209. I just read this article yesterday and I think that this is a good news for Playstation 3 fanboys. The price of the new model of PS3 is only 341$, that’s very cheap. Keep this on and PS3 will become the king of nextgen console.